Select an Instagram page and Publisher shows the latest posts of the page. 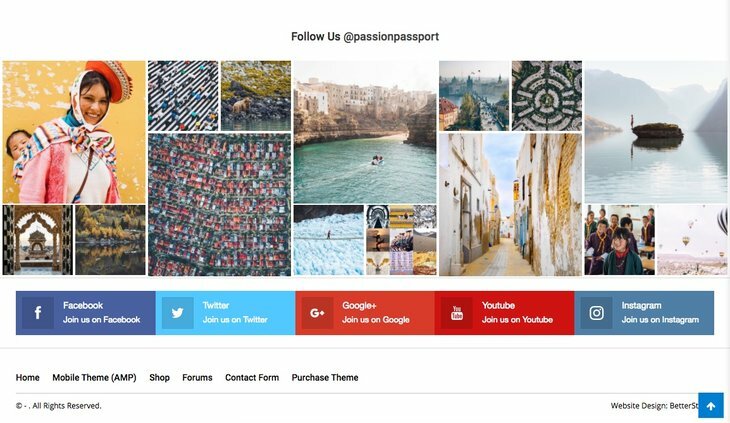 Footer Instagram shows these photos in beautiful and different styles in your website footer. We provided screenshots of different styles. 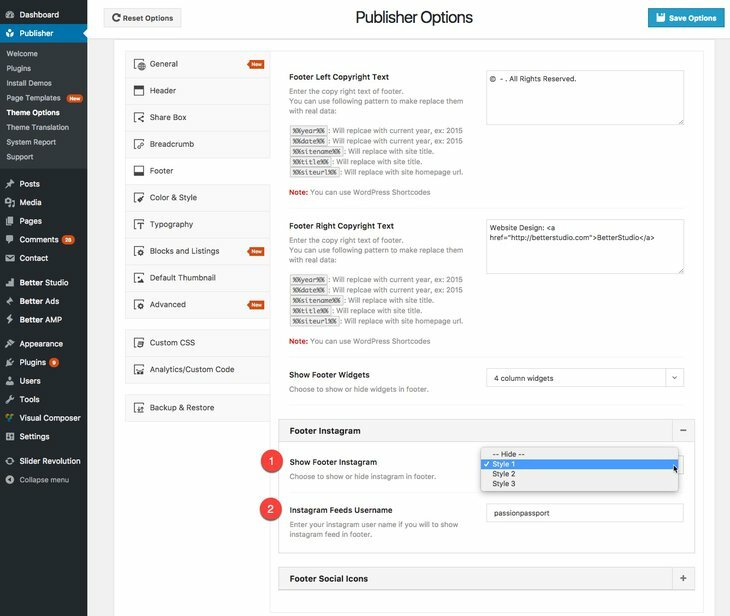 Go to Publisher → Theme Options → Footer → Footer Instagram. 2- Instagram Footer Username: Enter your Instagram user name. Image below shows where to find this name.